Cheap works. Frugal-gardening-ideas puts more money into economical-conscientious-gardening in order to get the most return from your hard work. Simplistic gardening works so well towards saving money, getting creative when you didn't think you could, and putting the planet at the same time, in a better state. How can it not when so many of the reasons behind living a greener lifestyle come into play? Saving money is important in todays' economy. Anyone can be a thrifty-gardener if they want to be. If you are just starting to garden, or simply determined to spend as little as possible this time or next season, there are steps you can take. Apparently, with less than fifty dollars worth of seeds, you could potentially produce 6 or 700 dollars worth of groceries in a backyard garden. If you think in terms of green living and frugal-gardening-ideas, you will come up with some very creative ideas for flower gardening and vegetable gardening or both combined, I guarantee. By the way, if you think that you can't do anything at all because you don't have space, there is always space somewhere. You can have containers on a small deck where there isn't alot of property, or hanging plants or containers on a balcony in an apartment building. How about a rooftop? 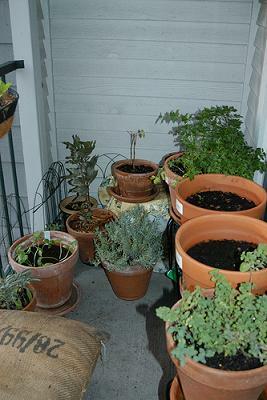 Some of the best frugal-gardening-ideas come from people with the tiniest spaces. They find a way! Just because you may not have a house with a huge backyard, doesn't mean you can't experience the beauty of a flower, or the experience of growing something you can eat. Vegetable and herb gardens are growing so much in popularity. of herbs, vegetables, and flowers. It's much cheaper to start your plants from seed. If you prefer a little bit of instant gratification and want to buy plants, buy small. Have patience buying flowers. Again, buy small. They are healthier and they will fill out in time. And, if you spend less to start with, you can buy more varieties of things to plant. Bulbs usually come in such large quantities. Split the cost with a friend or family member. 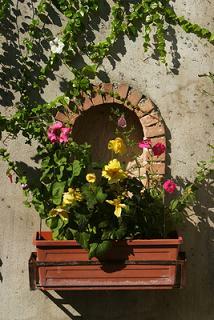 Very frugal-gardening-ideas make use of items around the house that can be recycled. The cardboard coffee takeout trays are perfect and work well as seed starter pots. You can start off seeds in egg cartons too. Plastic margarine containers of all shapes and sizes work well as do some bottles. You can try the biodegradeable pots made from coconut, rice and bamboo fibers as well. 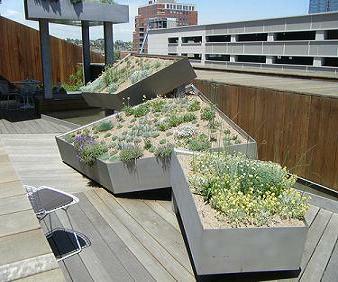 Make use of large containers if you do have a yard, but maybe the dirt isn't the best. You can start anything you want and keep them separate. containers that were made out of recycled materials. 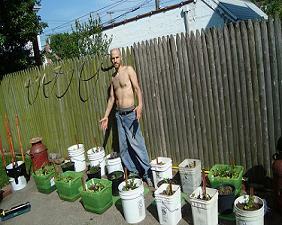 Free Gardening Plants - all about propagating and growing gardening plants and vegetables successfully. The rainwater from your barrel or redirected downspout gives you free watering when needed. 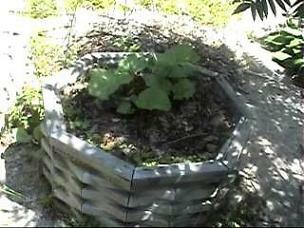 The compost you are collecting is great for mulch. Why buy bark from the store when you already have the best weed cover and moisture holder there is for free? I think I have given up on buying mulches. They just seem to disappear year after year. They are expensive, especially when you need alot. The compost attracts the useful bugs, toads, and birds to your garden and give added life to your garden. Don't throw out your coffee grounds from your coffee pot either. Dig them into the soil to provide much needed nitrogen. Imagine the wealth of knowledge and experiences which will be available from a number of people who grow a variety of items to help you with all of your gardening questions. If you want some frugal-gardening-ideas, these people will have them. 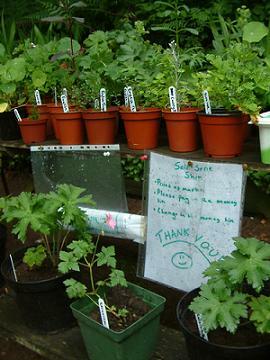 Perennial Sales are put on at least once per season by local Horticultural Societies. You will pay alot less for clumps of perennial flowers here than most other places. And you know they have been very well taken care of. Be sure to keep an eye out for this date, and be sure to go. So many people use this opportunity to dig clumps from their own overcrowded garden, and sell them quite cheaply along with their regular garage sale household items. If you don't find any plants, you are sure to find "something" useful and garden related. Over the years, I have bought so many garden related items at yard sales, that I wouldn't think of buying these items new somewhere else. There's just no need for it; I know it's out there somewhere. Like with any household item, people tire of certain things, and want brand new, or simply don't have use for them at all. They downsize their gardens, or get rid of them altogether. People move, and it's a great opportunity to clean out. Who needs five rakes, when one will do? Especially when people are giving up their homes entirely for apartment living, they get rid of almost everything except for the very bare essentials. The best frugal-gardening-ideas begin at the yard sales. I can hardly begin to name the items I have bought for next to nothing here. 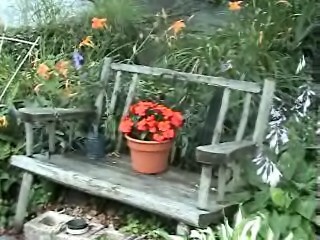 I have also bought numerous decorative garden and backyard items as well - Everything from benches to bird baths. So, a bird-feeder for a dollar? Flower pots for fifty cents? A shovel for two dollars? Good gardening magazines for a dime? 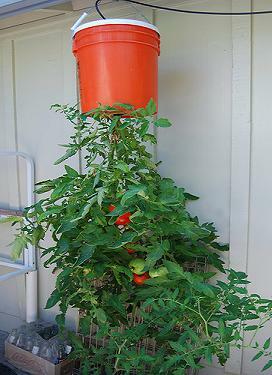 How's this for frugal-gardening-ideas? The list goes on and on, and prices like these just can't be beat. If you would like to be a part of economical-conscientious-gardening, the garage sales are the best places to start. You can come up with some great ideas yourself depending upon what you find. The worst thing that can happen, is paying for a weed-eater that doesn't work properly. It's difficult to check out that sort of thing in advance, but it happens. Buyer beware! The good news is, if you compare the price of all of your purchases to what you would have paid for in a store, you will be way ahead. And, most of the above mentioned items are not electrical. You can see immediately whether they are fine or just junk. If you would prefer to buy everything brand new, gardening tools, supplies, and perennial plants usually go on sale at the very beginning of the summer, and again at the end or early Fall. Don't forget to collect your seeds from pods faithfully when the time is right. Store them in a cool, dry dark place until it is time to plant them. Remember to mark down what they are. You think you will remember the names next season of your seeds, but if you are like me, you won't.